We conclude our HALLOWEEN SPOOKTACULAR with a costume idea that is to die for! Not only that, but we are participating in the Pinterest Challenge found on two of our favorite blogs Young House Love and Bower Power and this is my submission (be on the lookout for some fabulous “stolen” projects courtesy of Ethne in the next few days). I saw this photo on Prudent Baby and new I MUST be Tippi! 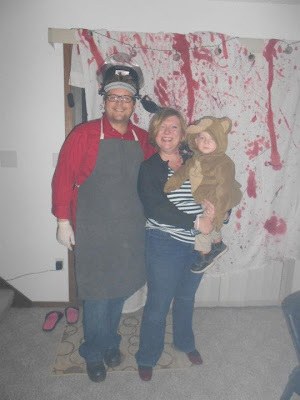 Recently I was cruisin’ one of my favorite blogs, prudent baby, and saw the most brilliant costume idea. You see, this costume has a close-connection with my wom-mom co-author and BFF Ethne. 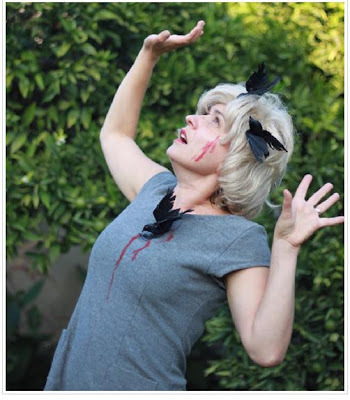 I just knew I had to be Tippi Hedren from the movie THE BIRDS! Why you ask? 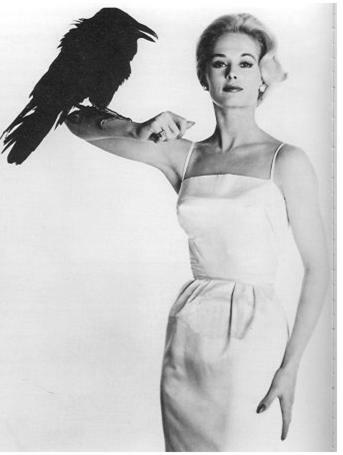 Ethne is related to Tippi and Melanie (Tippi's daughter)…and I am obsessed with brushed with fame! 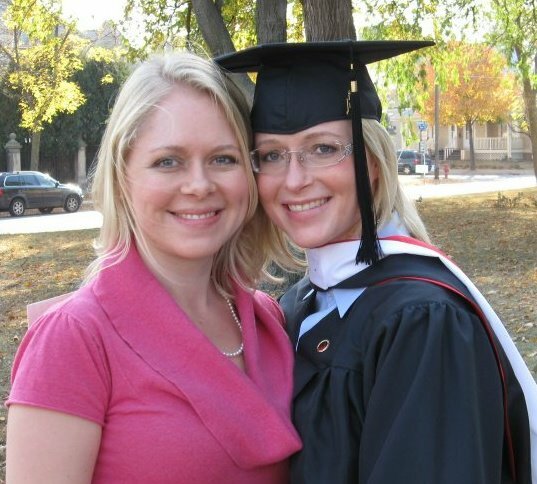 And really…they are related! Tippi--I don't know about you, but I see a major resemblance! Not only that, but this costume was simple, easy, required few supplies, and I could pull it off! All I needed was birds, fake blood, and an outfit. 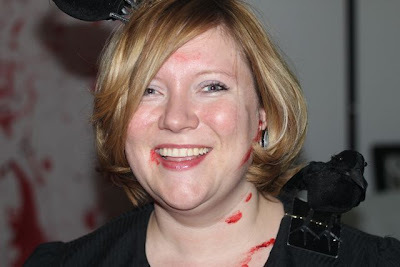 The best part of the entire costume was that my good friend Jen (who happens to be obsessed with Halloween) supplied everything (the birds and the blood). A quick trip to the thrift store for the outfit—$4.00 later and I had my entire costume! 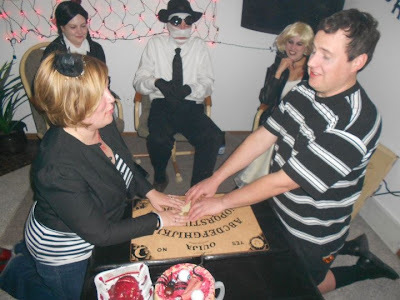 Ouija absolutely NECESSARY at a Halloween Party! It was perfect, it was comfortable, and I even won a costume contest for best use of blood (thanks Steve for helping)! And I couldn't believe it but the bird stayed on my head (thanks again Steve, for securing it so well)! Photo is fuzzy---courtesy of fog machine! I think I look Tippi—WOMS…what do you think?